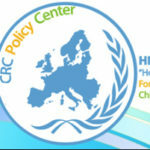 "Hope For Children" CRC Policy Center is overseeing the CREUS Transnational project report which presents a selection of projects in Cyprus, Greece, Italy, The Netherlands, and United Kingdom (England), that, though diverse in practice and specific objectives, have in common the social inclusion of participants as an end result. CREUS projects (2017-1-UK01-KA202-036681) focuses on the development and nurture of the vocational transversal skills of disadvantaged young people through creative, non-formal learning in unconventional space. Given the scope of CREUS project, the use of peer mentoring as a non-formal learning strategy, combined with the use of creative practices in unconventional spaces were the variables prioritized in selecting the cases. The case studies are practical examples, across partner countries, of how creative practices generate transferable and transversal competences that facilitate accessing vocational and educational training (VET) and the labour market. Please click here for a full review CREUS Project Transnational Report.